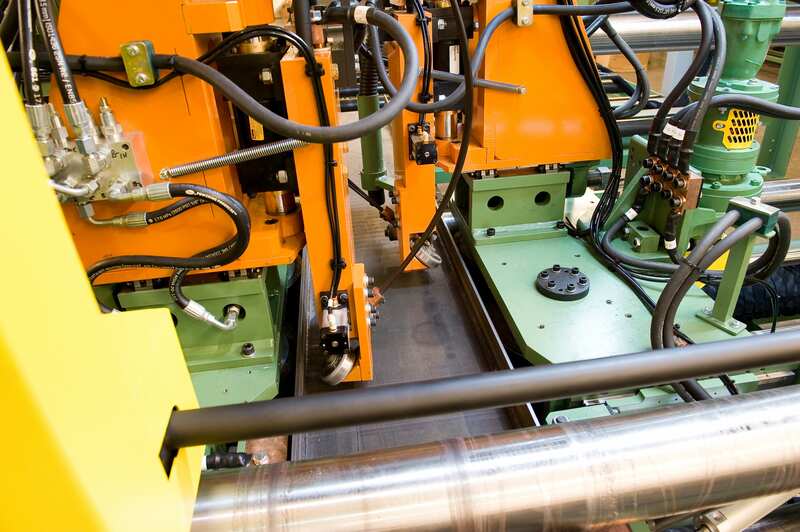 FRANKLIN MODEL PTW-72 is a complete Automatic submerged twin-arc welding system. It is designed for fixturing and welding Three (3) piece built-up beams consisting of a web and two (2) flanges. The PTW-72 has a web capacity of 72 inches and flange capacities of 20” wide x 1" thick. A complete PTW-72 fabricating cell can be up to 300 ft. long. 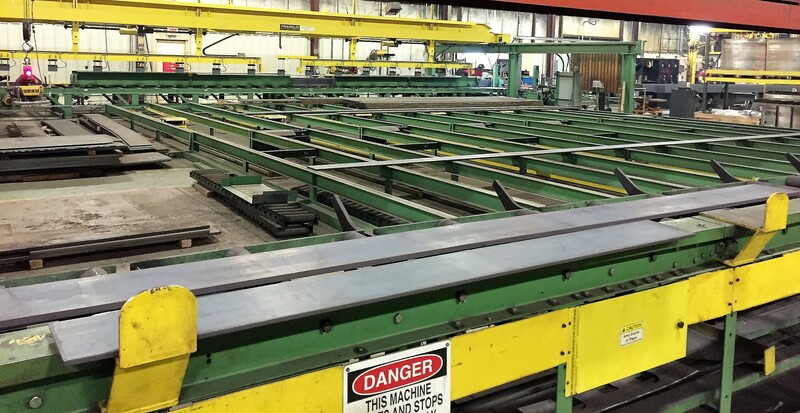 The system consists of a web loading gantry, web seam station, tack station unit, 4020 CNC Flange Loading Gantry and PTW-72 Pull Thru Welder with CNC Controls. The WS-72 web seamer station is equipped with a Lincoln Power Wave AC/DC welders and Max-Sa controls. The WS-72 utilizes unique magnets that pull the web plates down to the copper back-up bar. The copper back-up bar is designed with a small flux groove and is fixtured into an aluminum water-cooled sub-bar. TS-72 tack up station provides hydraulic clamping that pre-fixtures the leading edge of the prefabricated bean. 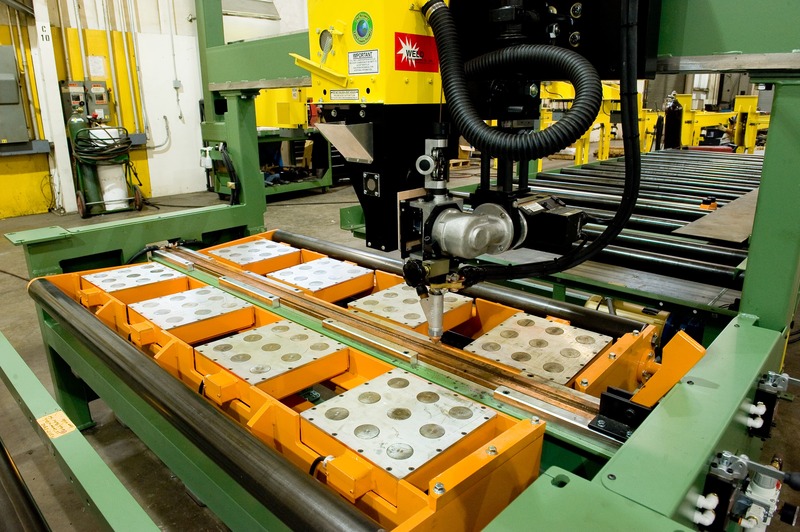 Franklin “40” Series CNC Gantry provides automated pick and place loading of finished flanges from the Franklin CNC Flange Line System. Franklin “60” Series gantries provide up to 60 ft. of length capacity and 75 ft of travel storage.